Gravity Drop Kick 43" Longboard KomplettGravity Longboard Komplett Mini Kick 40"
The Mini Kick is a 40" 7 ply maple drop deck with light Concave and sweet little kicktail just like it's 43" big brother. It offers a nice flex pattern for hard carves and with it's shorter wheel base you can even shred some pools and parks if you dare. 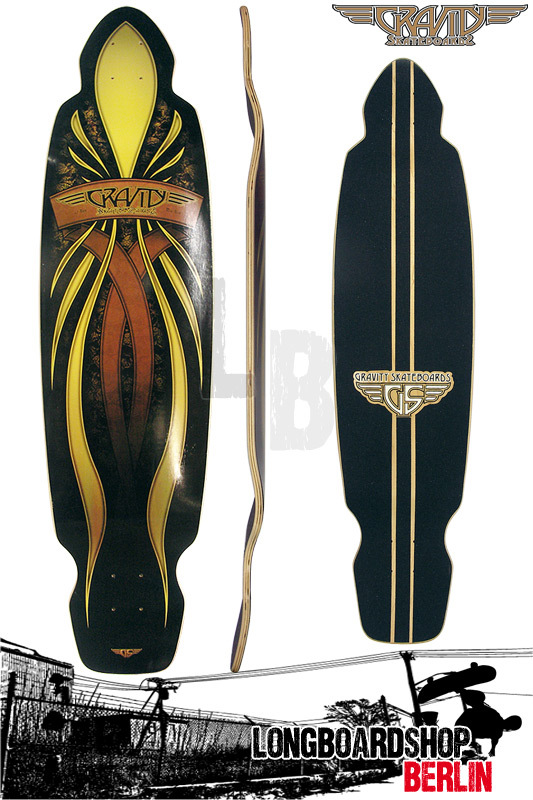 The board was designed for the all around skater and the tail makes doing tricks easier. We ship it with Randal 180's and 70mm Blazer wheels. Support our economy, buy American.